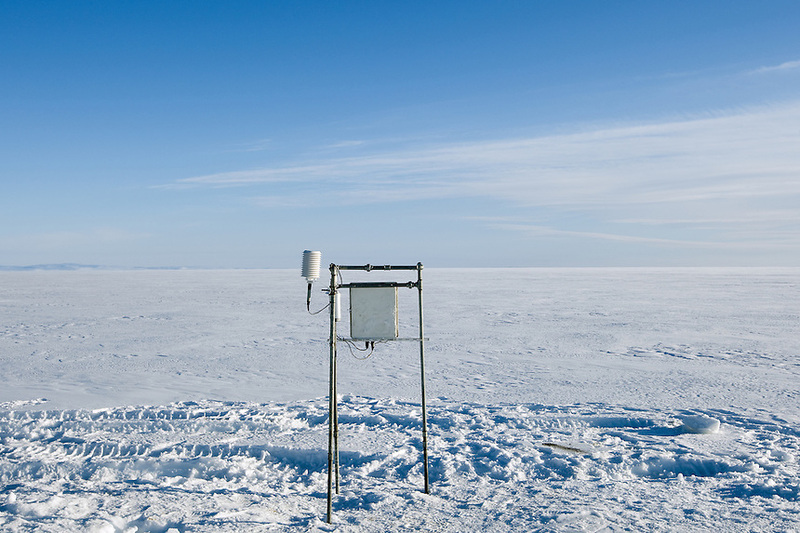 Automatic weather stations are built every spring at 10 different sites on the ice cap. They are dismantled before the winter creeps in, as the winter snow, up to 10 m thick, would cover them completely and they would be lost forever. Most of the stations measure air temperature, wind, solar radiation and surface melting.